No one had bigger shoes to fill at the OFC U-19 Women’s Championship 2017 than Ateca Tuwa, but the young goalkeeper went above and beyond. In honour of Francine Lockington, who passed away in the middle of the tournament, Tuwa took her friend’s place between the posts giving her utmost and contributing to the team’s second place finish. An impressive series of performances saw her named the tournament’s Golden Glove – an award Lockington herself had earned at the OFC U-17 Women’s Championship only 18 months ago. “It’s really a big honour for me,” she said. “I wasn’t expecting to get the award but I was working towards it after my friend Francine passed away. That was a big challenge for us but our coach was motivating us, telling us if she could do it, why couldn’t we. Tuwa’s assignment was no easy one, taking on the region’s top youth strikers and persevering through tough losses, but the sisterly bond shared between her and her teammates helped Tuwa keep her chin high and gloves up. “The competition was challenging but my team motivated me,” she said. Tuwa’s most testing encounter came on Match Day Two, when Fiji were defeated 9-1 by eventual champions New Zealand, but the game will remain one of the goalkeeper’s fondest memories after Tuwa pulled off an heroic save. 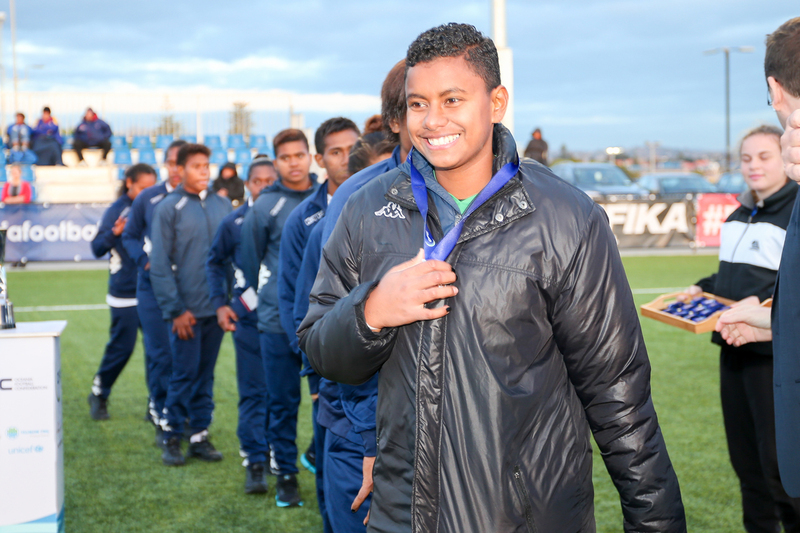 Before returning to Fiji to continue her tertiary education following the conclusion of the competition, Tuwa wanted to acknowledge the many people that have been involved in her short – but very successful – football journey so far.